This past weekend, I took my first Zumba class. For those of you who aren’t familiar with Zumba (or the silly infomercials it inspired), it’s a Latin-style calorie-burning dance/exercise class. As a food blogger, I most definitely need to burn some extra calories every week. Zumba seemed like a fun idea, but I have the unfortunate disadvantage of being born with two left feet. While I wanted to jump in and try something new, I was also mildly terrified I would look like an idiot and make a fool of myself. Enter Julia Child, the culinary angel on my shoulder, reminding me I have nothing to fear but fear itself. Ever since I started cooking, I’ve drawn inspiration and delight from Julia’s cooking shows and books. Her teaching style was encouraging and kind, a constant reminder that nobody is perfect. She brightened the kitchen with her wit and charm. And while Julia doesn’t have anything to do with Zumba, she has an awful lot to do with inspiring my inner confidence—both as a cook and as a person. Julia Child approached food with the same gusto that she approached love, fearlessly and whole-heartedly. At a time when convenience foods were all the rage for their microwave-to-table ease, Julia celebrated the art of making a meal properly from scratch. People could relate to Julia; watching her shows felt like cooking with a good friend. Her sense of humor made food seem more approachable. More importantly, her cooking was honest. She reminded us that a meal doesn’t have to be perfect, as long as it tastes good… and good food often includes a few mistakes along the way. Who hasn’t broken a few eggshells or tried to turn a warm cake out of a pan, only to leave half of it stuck on the bottom? Julia embraced the mistakes as part of the learning process, and encouraged us to do so as well. Though Julia was destined to become an American cooking icon, she didn’t begin that journey until later in life. Her early years were a time of searching, unsure of what her path would ultimately be. From a young age, Julia was defined almost exclusively by her height—she was an impressive 6 feet, 2 inches tall. Raised in Pasadena by well-to-do parents, Julia was expected to marry and to become a socialite. She excelled in sports, and her gregarious personality helped her to stand out in school plays; she was a notorious “ham.” Her father, a Princeton graduate and prominent landowner, hoped Julia would marry a man just like him. Julia wrote in her diary that she felt she was “meant for something,” but she wasn’t sure what her destiny was, or where she would find it. Dating wasn’t always easy for Julia. After graduating from Smith College in 1934 with a degree in history, Julia became active in the Pasadena social scene. At that time, she encountered a few crushes and a marriage proposal from Harrison Chandler, owner of the Times-Mirror newspaper (she declined). Julia had a vision of true love, what she referred to as “simpatico.” Her prerequisites for marriage were “companionship, interests, great respect, and fun.” She wasn’t willing to settle for less than the ideal companion, and at a certain point resigned herself to the fact that she might not marry at all. When World War II began, Julia saw an opportunity to broaden her horizons beyond Pasadena. She took a job with the Office of Strategic Services and traveled to Asia. It was in Ceylon (now Sri Lanka) that she met Paul Child, another member of the OSS, and the possibility of “simpatico” became real. Paul was in search of “simpatico” himself, though he didn’t immediately see Julia that way. He saw her as a pal, someone he could enjoy a nice meal with. The two shared a love of exotic cuisine. They enjoyed spending time together. What began as a great friendship evolved into more. They eventually fell head-over-heels for each other. It was Julia’s relationship with Paul Child, and a traditional French preparation of sole meunière, that launched Julia’s ultimate culinary destiny. Julia and Paul arrived on French soil in 1946 after he accepted a job in Paris. Their first stop was a restaurant called La Couronne. Julia ordered the simple, classic French dish—fillet of sole cooked with butter, lemon, parsley and flour. The meal proved to be life-changing, sparking her culinary curiosity and a desire to learn French cooking. Julia wasn’t born with a wooden spoon in her hand; it took time to learn her way around the kitchen. The first meal she cooked for her new husband was calves’ brains in red wine. Looking back on the meal, she wrote it was “messy to look at and not very good to eat.” Julia loved the idea of cooking, but she wasn’t what anyone would call a natural. Yet living with Paul in Paris, surrounded by the sights and smells of the outdoor markets, the colorful produce, and the bistros serving rich and buttery sauces, she couldn’t help but be inspired. At age 37, Julia enrolled in classes at the famous Le Cordon Bleu culinary school—a male-dominated school where an American woman seemed completely out of place. She quickly proved she belonged there. Around the same time she became acquainted with Simone Beck, lovingly known as Simca, and Louisette Bertholle. In 1950, along with Louisette and Simca, Julia started teaching cooking lessons to neighborhood folks who wanted to learn the basics – from boiling potatoes to creating a great påté. The women called themselves Les Trois Gourmandes, or The 3 Happy Eaters. Julia proved to be a popular and well-liked teacher. Simca and Louisette had been working on a French cookbook in English, and enlisted Julia as their American voice. 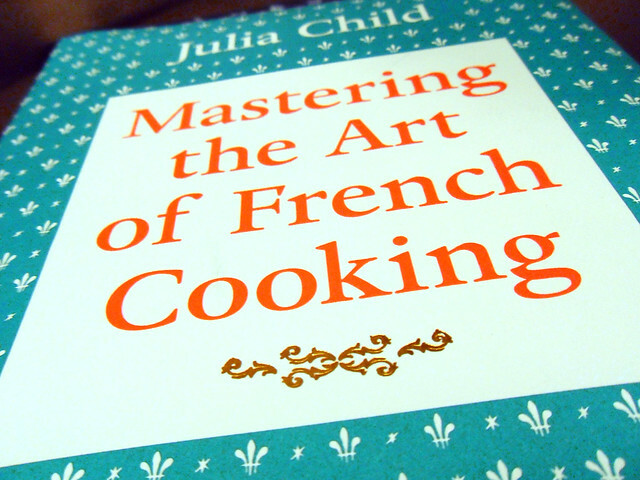 It took 10 years of grueling work for the women to produce their magnum opus, Mastering the Art of French Cooking. After struggling to find a publisher, the book finally reached store shelves and became an instant success. 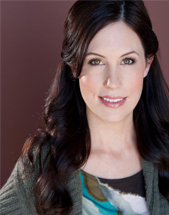 It gave Julia the final push she needed to reach her ultimate destination – television. As a natural teacher with a passion for cooking, Julia captured American hearts with her first television show, The French Chef, on public television. She enthusiastically fumbled her way through recipes and introduced audiences to something new and real, all while wearing a blouse emblazoned with the Les Trois Gourmandes insignia. At the end of each episode, she toasted her viewers with a glass of wine. It was the start of her long career as a celebrated television chef, and also the beginning of culinary television as we know it. Though it has been eight years since Julia’s passing, her mark on the culinary world will never fade. Julia spent over 40 years in the public eye and was a crucial contributor to the development of the International Association of Culinary Professionals and the American Institute of Wine and Food. She was a trailblazer for today’s chefs, and for women in particular. She published several cookbooks and hosted a number of television shows. It is fair to say she was the first celebrity chef. In 2002, the Smithsonian Institution honored Julia by installing the kitchen from her Cambridge, Massachusetts home in the National Museum of American History. Indeed, Julie was always Julia… brave, curious, bright and fearless. So on Sunday, feeling a little silly for having been worried in the first place, I channeled Julia Child’s fearless attitude. If she could fly to Asia in the middle of a war zone, learn French cooking in a male-dominated field, and change the culinary landscape for every generation after her—then I most certainly could brave a Zumba class. And that I did, despite my two left feet. Yes, it was messy and slightly ridiculous. Yes, I made about 3,000 mistakes in one hour. But you know what? I had a blast. This month, when Julia would have turned 100 years old, I am reminded of how much I’ve learned from her. The more I adopt Julia’s fearless attitude, the more I enjoy life—especially in the kitchen. Broken sauces, fallen soufflés and overcooked vegetables aren’t the end of the world. In fact, they just might be the start of something completely fabulous and unexpected. So thank you, Julia, for inspiring me with your honest and generous spirit. Child, Julia (2006). My Life in France. Alfred A. Knopf, Random House Inc., New York, NY. Fitch, Noël Riley (1997). 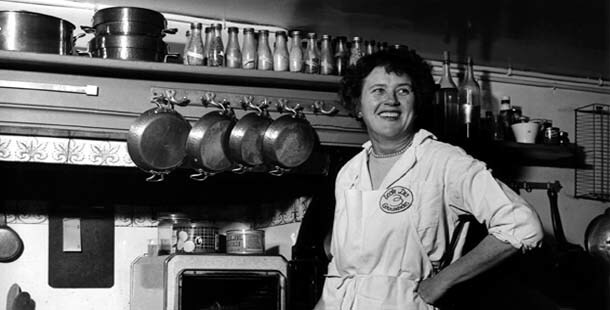 Appetite for Life – The Biography of Julia Child. Anchor Books, New York, NY. Shapiro, Laura (2007). Julia Child. Penguin Group, New York, NY. Whittemore, Hank (February 28, 1982). Julia and Paul – The real story of Parade’s food editor begins with a recipe for a good marriage. Parade.